The Predator has been an icon since it’s launch back in 1994, as it has been used by numerous football players throughout the years. 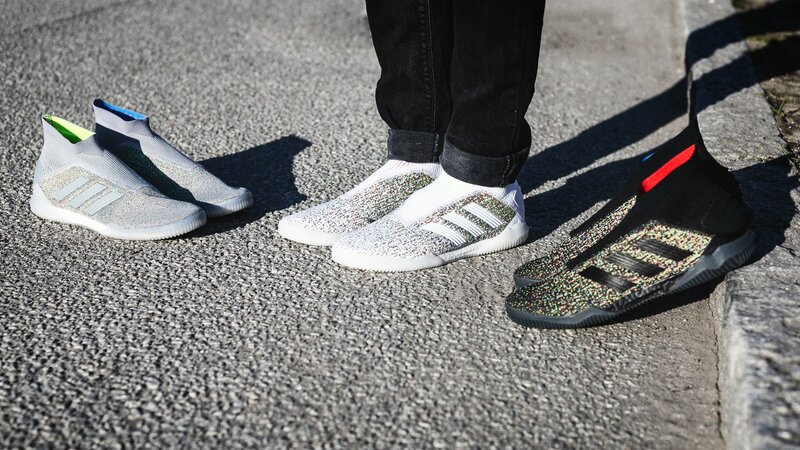 Now adidas is ready to present 3 limited edition trainers, which complements the new Virtuso Pack. So, let’s get on with it. The Predator football boot was a form for alien when it cam out in 1994, as the world hasn’t seen something like this before. But the football football players around the world immediately adopted the boot and it became a regular fixture in the game that we all love. But this uncertainty around the boot created a form for oddity, which established the path for modern football as we know it today. adidas has taken this oddity from the uncertainty and placed it into 3 awesome limited edition trainers, which are all individual – but in the same time the same. 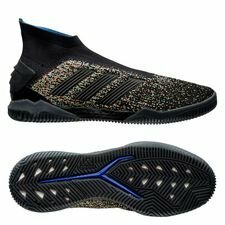 The oddity is displayed in each trainer as the colourful Primeknit upper on the mid and front foot, while the trainers’ left and right Sockfit construction are made with different colours to complete the oddity design. The Virtuso Pack’s colours are represented in the colourful Primeknit upper, as the Virtuso Pack colours are used to complete the design. 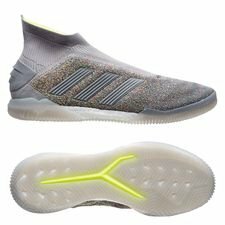 You can get the 3 Predator Celebration Pack sneakers in three different colourways, black, white and grey, and they all come with different colours on the Sockfit construction. 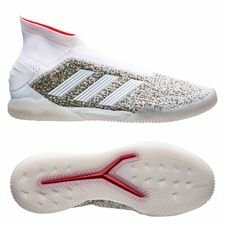 The Predator Celebration Pack are great street shoes, which fits perfectly for the spring months, you can create the game on the street courts, as football doesn’t stop after 90 minutes. But you also use the Predator Celebration Pack to complete your sports fashion look, as they also fit to be used besides football during your days of from school or work – the possibilities are never-ending with the new limited edition Predator Celebration Pack sneakers. Get the limited edition Predator Celebration Pack exclusively at Unisport.